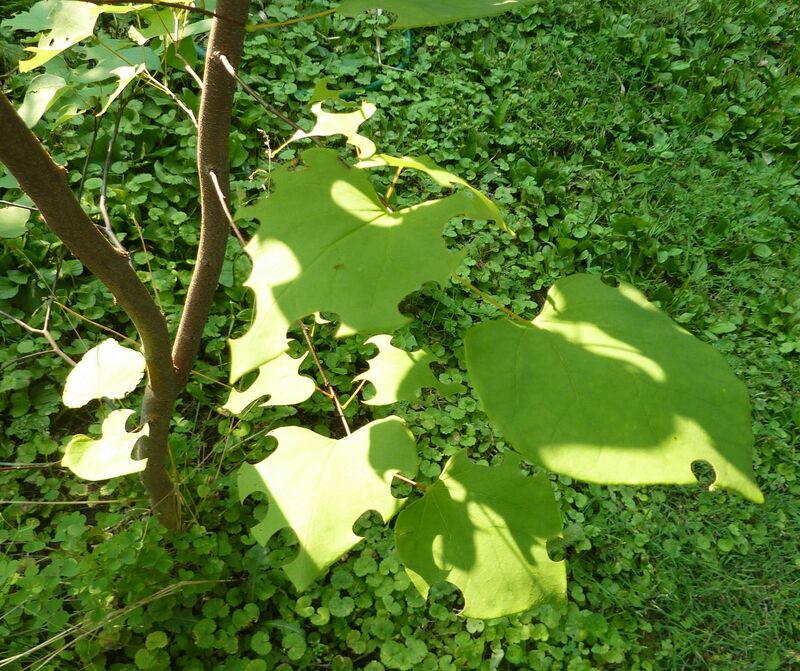 Clear and obvious signs of Leaf Cutter Bees. It's neat how they pick on the Eastern Redbud so much. Chewing out holes from the heart shaped leaves. That said Leaf Cutter Bees are easily spooked and I haven't even seen one out there. Here is a video (not mine) of how quickly they can cut a leaf. They nest in both pre drilled holes and in underground burrows. I've noticed they're more active in the summer time unlike most Mason and Mining Bees. Mason Wasps also occur more in the summer time along with the specialized predators such as the Scoliid Wasp.